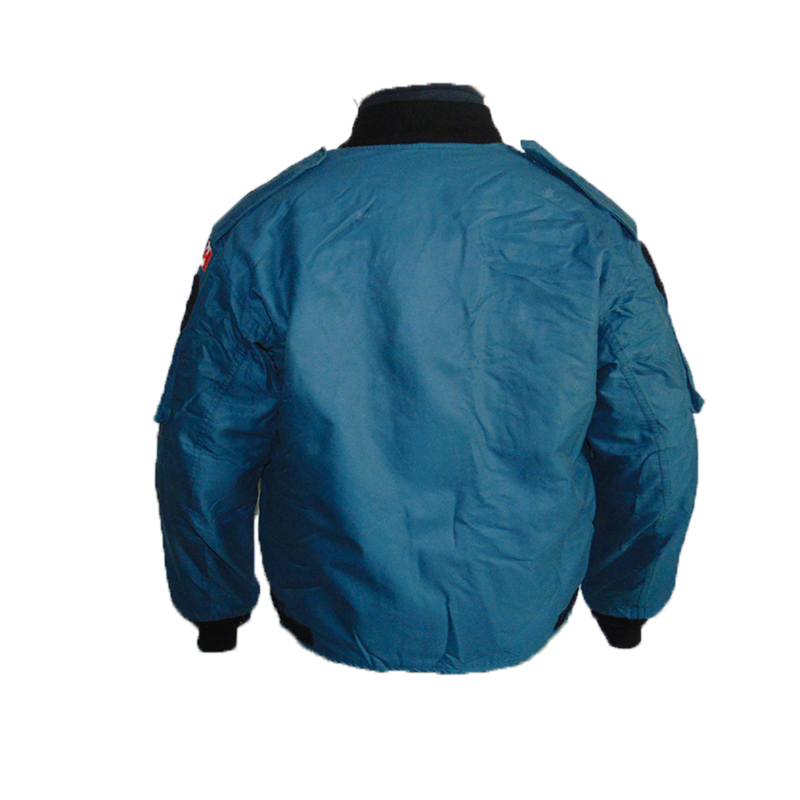 Old school Royal Canadian Air Force Flyer's jackets dated back to the Cold War era. Features two zippered pockets on each sleeve, velcro patches on the sleeves/chest, two Canadian style tunic hand pockets (to keep your bottles of Maple Syrup, and frostbitten hands inside), and a waist level adjustment strap. They also feature a variety of different patches and velcro panel variations. 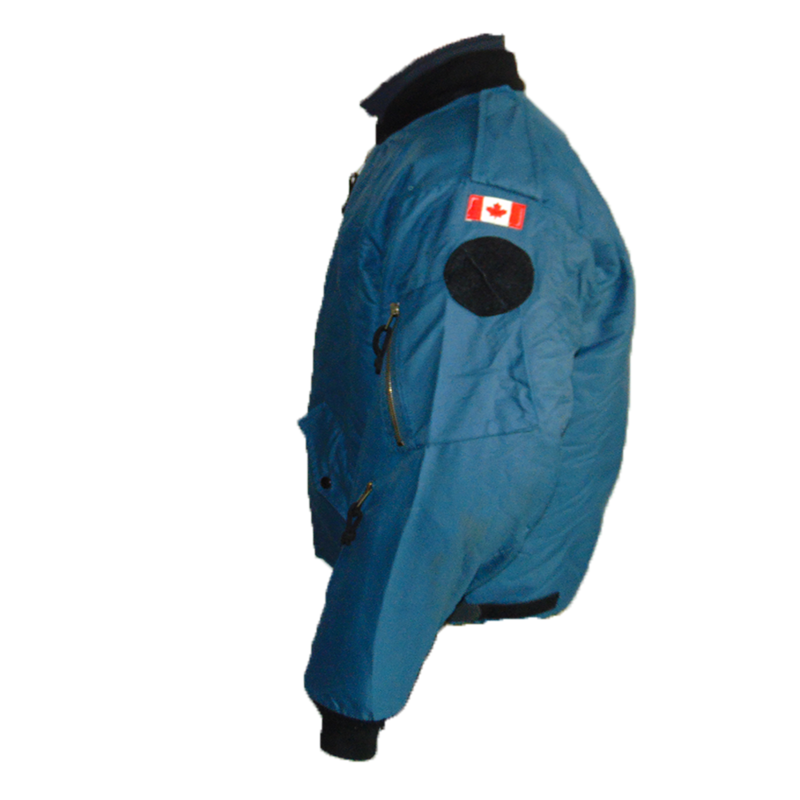 These specific jackets carried the Royal Canadian Air Force throughout the Cold War and beyond. They would be a typical sight with pilots operating out of West Germany, or flying for NORAD commitments. 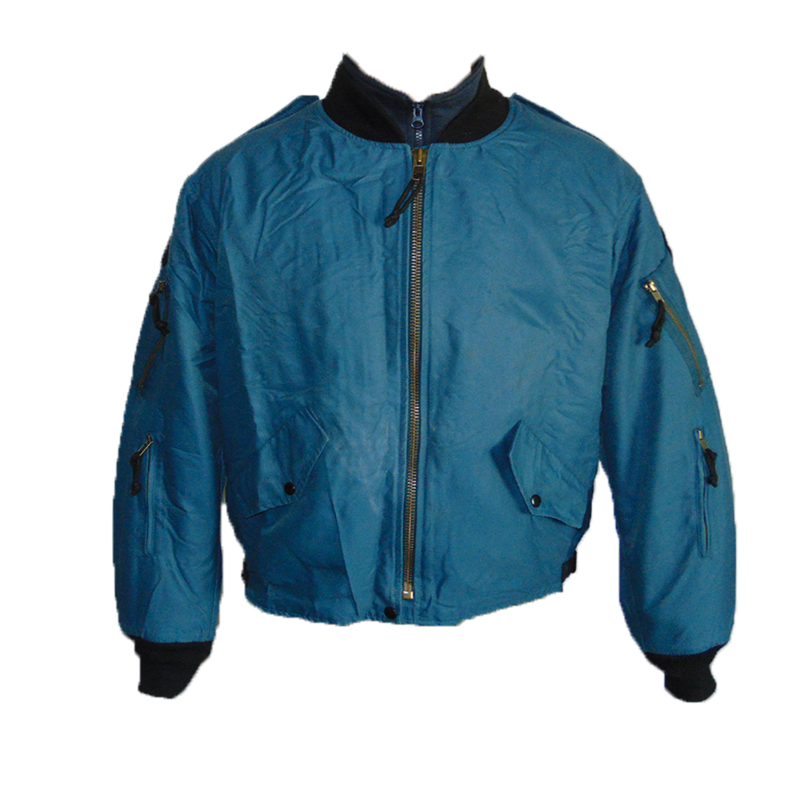 Get the real deal "bomber" style jacket today! 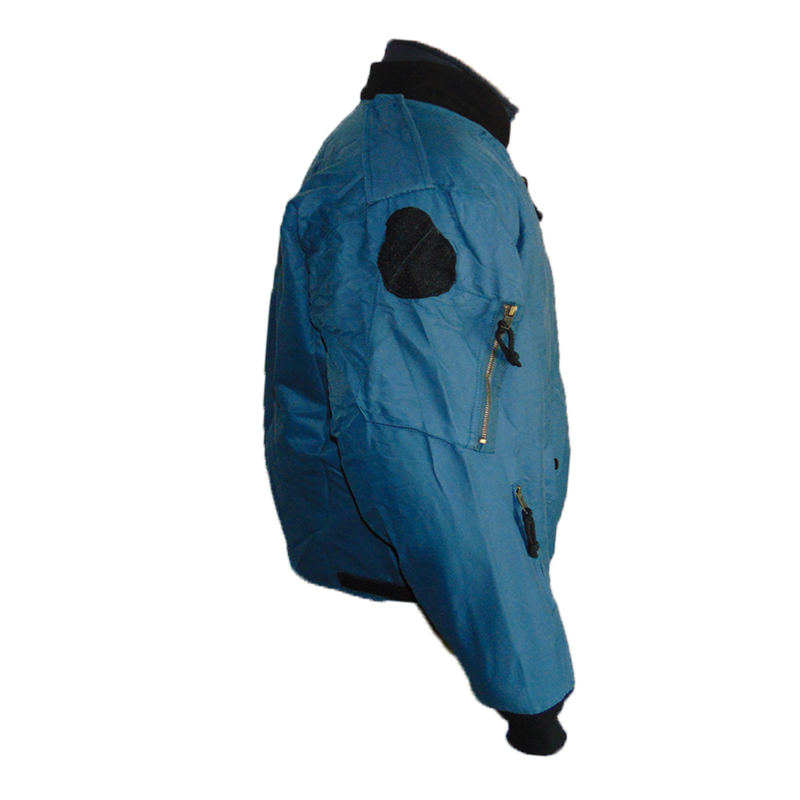 Jackets are measured based on body proportions, not the actual length of the garment. All prices in Canadian Dollars (CAD). We ship internationally! Note: This item is in "Military Surplus Condition." Please refer to our Shipping and Returns Policy for more details. All Canadian Army surplus products were procured legally from Public Services and Procurement Canada.